In the fall of 2011, Meredith Events owner, Meredith Corning, started a project called Divas Dressing Darling that benefited impoverished children living in African regions. The project began with an event collecting pillow cases. The pillowcases were then distributed to a team of local Arkansas fashion designers to utilize in the creation of dresses for little girls. The dresses were then shipped to organizations such as Hope 4 Kids International and Little Dresses for Africa for distribution. In the summer of 2012, the dresses were taken to the pop-up care clinic in Kenya organized by the nonprofit Change of Face funded through Delta Dental and in partnership with Arkansas Children’s Hospital. Working with the local community and established nonprofits to aid in the care of children has been a rewarding labor of love. We thank everyone who has been involved in this project over the years. 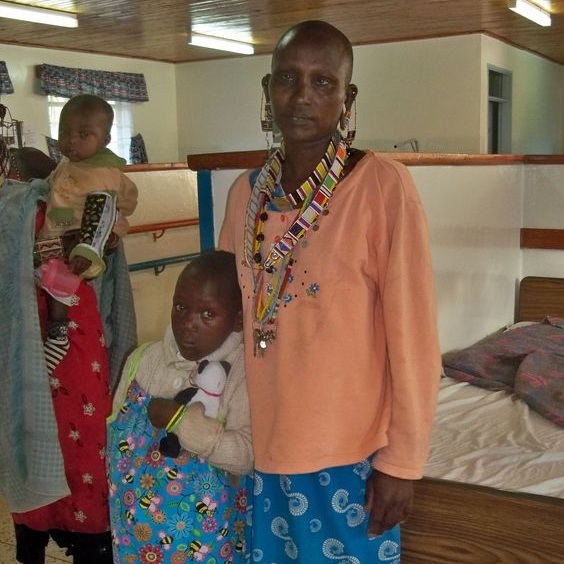 Arkansas children’s hospital nurse caring for Kenyan child wearing one our divas dressing darlings dresses. This mission was in partnership with arkansas children’s hospital and the nonprofit, change of face. family attending pop up clinic in partnership with Arkansas children’s hospital and the nonprofit, change of face. Little girl wearing one of our divas dressing darling dresses. Arkansas children’s hospital Doctor, Dr. Lisa Buckmiller, assisting Kenyan child wearing one our divas dressing darlings dresses. This mission was in partnership with arkansas children’s hospital and the nonprofit, change of face. The inaugural event for Divas Dressing Darlings, a program founded by Meredith Events’ owner, Meredith Corning, was held at RK Collections Boutique in Little Rock, Arkansas. Sponsors for this event included Little Rock Fashion Week, THINK magazine, RK Collections, THV 11, and the fashion brand and designer, Korto Momolu. Pillow cases were collected at this event and then distributed to a team of local fashion designers to be used as fabric for dresses for African girls. Over the years, various fabrics were donated to this cause and the team of fashion designers grew as well. The last shipment sent contained 150 dresses. Project runway tv personality and little rock fashion designer, korto momolu with Meredith events owner, meredith corning at the inaugural divas dressing darlings event. Singer and songwriter, jessica carder providing entertainment at the inaugural divas dressing darlings event held at RK collections boutique in little rock. 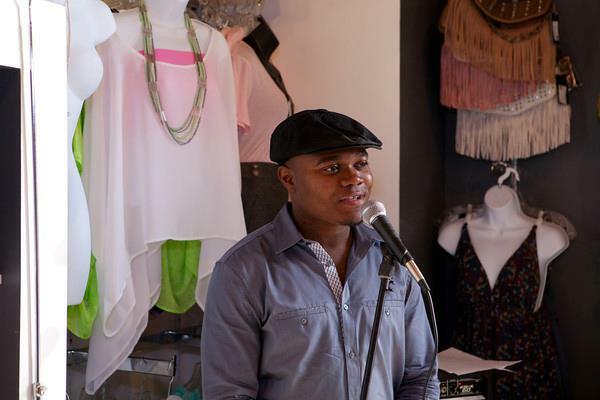 Founder of little rock fashion week, brandon campbell, speaking at the inaugural divas dressing darlings event. The divas dressing darlings event and program was founded by meredith events owner, meredith corning. Your Girl Friend’s Closet, a program founded by Meredith Events’ owner, Meredith Corning, was held at Bar Louie in Little Rock, Arkansas. The purpose of this event was to collect clothing for the women living in the care of the nonprofit, Women and Children First located in Little Rock, Arkansas. A silent auction was also held to collect funds for the organization. Guests were asked to bring in clothing, jewelry and personal care products. Sponsors for this event included Bar Louie, THV 11, and the fashion brands and designers, Novel Approach Jewelry and Sheila Scott. Executive director, Meredith Looney, for Women and Children First was on site to collect all goods and funds at the end of the event. THV 11’s Dawn Scott with Meredith Events’ Owner, Meredith Corning at the Your Girl Friend’s Closet Event benefiting the nonprofit, women and children first. Silent Auction items at the Your girl Friend’s closet event benefiting the nonprofit, women and children first. Held at bar louie in little rock, arkansas. guest perusing donated clothing items destined for the women living in the care of the nonprofit, Women and Children First. Volunteers assembling care packages for the women and children in the care of the nonprofit, Women and children first, at the Your girl Friend’s closet event. Owner of Arkansas Fashion School, Jamileh Kamran, and Meredith Events’ Owner, Meredith Corning at the Your Girl Friend’s Closet event benefiting the nonprofit, Women and Children First. Executive Director, Meredith Looney, arrives at the Your girl Friend’s closet event to collect the donations and funds provided by this event held at bar louie in Little Rock, Arkansas. The Designing Women of Little Rock event hosted by Meredith Events’ owner, Meredith Corning, was held at Villa Marre in Little Rock, Arkansas. The purpose of this event was to collect funds for the women living in the care of the nonprofit, Women and Children First located in Little Rock, Arkansas. A silent auction was also held to collect funds for the organization and local designers came together to provide a lovely fashion show as entertainment. Sponsors for this event included The Art School, Villa Marre, THV 11, Fred Astaire Dace Studio and a host of local artists. Executive director, Meredith Looney, for Women and Children First was on site to collect donated art and funds at the end of the event. Little Rock Fashion designer, Missy Lipps, with her crew of models. Missy was part of this event’s fashion show and the artists affiliated with Designing Women of Little Rock. More art silent auction items at the designing women of little rock event held at villa marre in little rock, arkansas and benefiting women and children first. Meredith Events’ owner, Meredith Corning, has been a part of many Beebe Chamber of Commerce events over the course of several years. Meredith called Beebe, Arkansas home for almost eleven years and supported her community by serving on the Beebe Chamber of Commerce Board of Directors and well as almost every event committee organized by the chamber. Meredith Events sponsored and served as a volunteer for event planning, fundraising and public relations TV appearances. Annual Beebe Chamber of Commerce banquet held at ASU-Beebe and supported through planning efforts by Meredith Events. Meredith Events’ Owner, Meredith Corning, appears on THV 11 to promote the Beebe Chamber of Commerce annual banquet held at ASU-Beebe. Meredith Events’ Owner, Meredith Corning, sits down with THV 11’s, Ashley Blackstone, to discuss and promote the Beebe CHamber of Commerce Fall Festival. 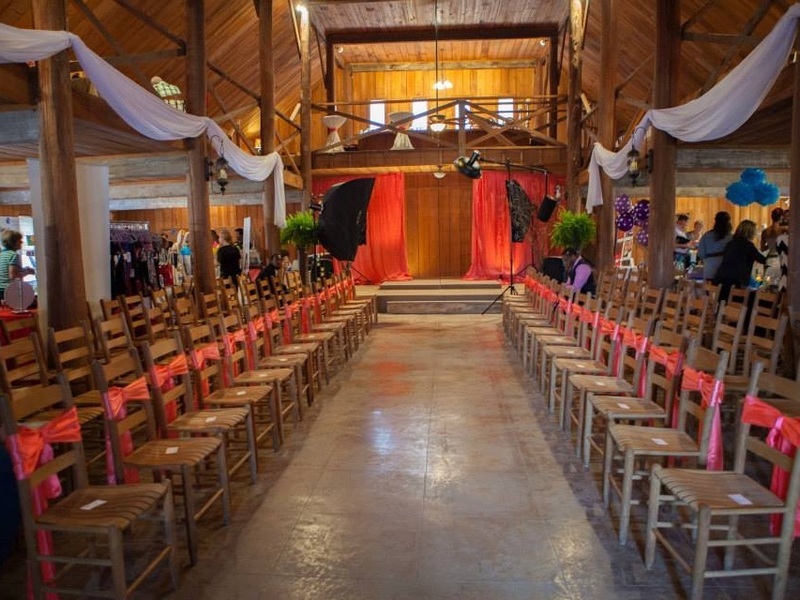 Meredith Events planned and produced a boutique bridal show called Bridal Savoir Faire in conjunction with various local members of the event and wedding industry for several years. This is eventually what led Meredith to dive further into wedding planning specifically. This event benefited the nonprofit, The Glass Slipper Project. Guests were asked to bring in their unwanted formal dresses for teens who could not afford prom dresses in the community. Bridal Savoir Faire vendor booths, Savory Catering, at the event hosted at Cypress Meadows. Bridal Savoir Faire vendor booth, Savory Catering, at the event hosted at Cypress Meadows. Bridal Savoir Faire Fashion show setup. This event benefited the nonprofit, The Glass Slipper Closet. Meredith Events’ owner, Meredith Corning, served on the board of directors of the community organization and social enterprise, Women in Networking of Central Arkansas - a group of women dedicated to supporting other women in their community through events, projects and charitable campaigns. Meredith hosted monthly meetings, planned events and volunteered served women as a support leader in her community. Women in Networking Magazine launch and Fashion show Luncheon at the Arkansas Arts Center in Little Rock, Co-Planned with Meredith Events. 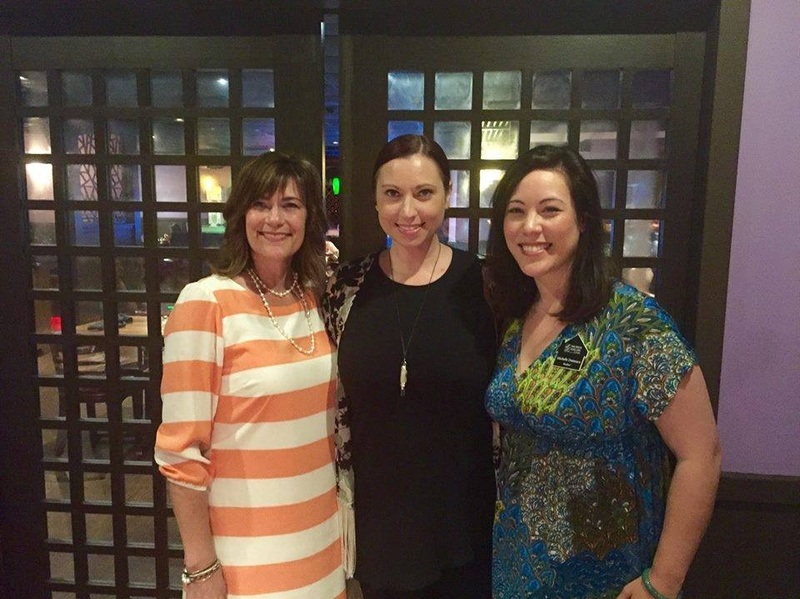 Hot Springs Women in Networking Luncheon shenanigans with Directors Meredith Corning of Meredith Events, Holly Fish and Dianne Jester. 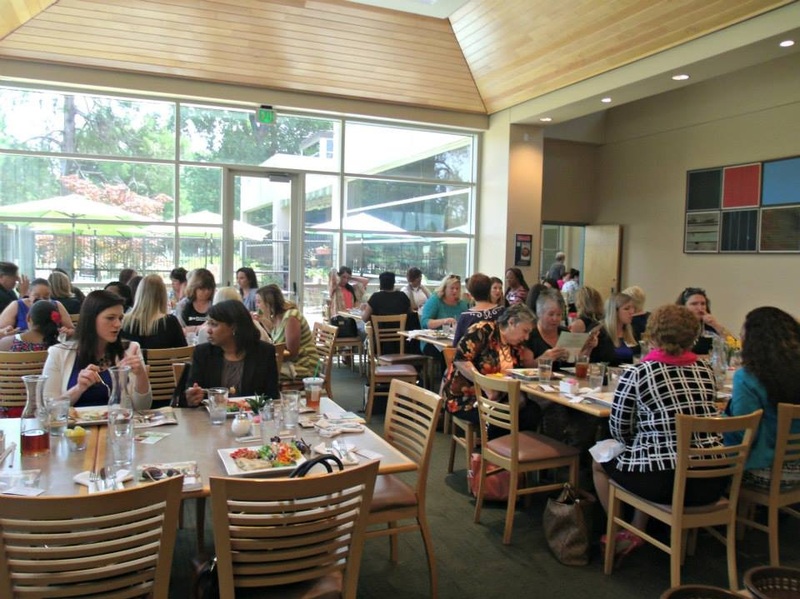 Cabot Women in Networking Luncheon with Women In Networking Founder, Holly Fish, Director, Meredith Corning and Michelle Dutacasa. Meredith Events planned an art show fundraiser in conjunction with the nonprofit, Southern Paws Transport in 2016 at the Art Group Gallery in The Promenade in Little Rock, Arkansas. Funds were collected through the sell of art items and donated to the nonprofit for the safe transport of homeless dogs. Dogs are placed in their forever homes through the nonprofit group and travel often across multiple states to get there. The nonprofit also handles their medical bills until they can reach their adoptive family. The Bark show at The Art Group Gallery for the nonprofit, Southern Paws Transport. Photo by Art/Photography by Sydney Rasch. Meredith Events, Meredith Corning, with The Cherry Dames. Photo by Art/Photography by Sydney Rasch. The Bark show featured in Soiree Magazine. Meredith seen here with photographer, Sydney Rasch.